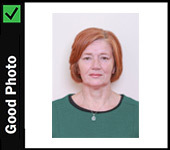 We offer the full range of Passport Photos and ID Photos production for Adults, Kids and Babies. With the advent of On-Line Passport Renewal, we validate every photo on the official Department of Foreign Affairs website before providing to you for upload. In addition we can provide photo ID for foreign Passport Renewals (such as USA, UK, Canada etc). All other forms of Photo ID is also supported, such as Age Cards, Disability Permits, PSV Licenses, SafePass, Driving Theory Test etc. Photos are taken and printed while you wait – no appointment is necessary.